Referrer spam is basically a process by which one can pass fake information to your websites and improve the ranking of their spam websites. It is a type of spamming, in which spammers try to corrupt the personal information of the other website in order to increase their site’s rankings. In this, a spammer sends fake information regarding particular URL’s to your website so that your website responds to the fake links and generates content for the spam website. By doing this, the website quality gets low. Why there is needed to block the WordPress Referrer spam? We can found that there are numerous types of referral spam that pollute the WordPress websites. It’s necessary to block all kind of WordPress referrer spam so that it doesn’t affect the ranking in the Google search engines and as well as the quality of your websites. There are various plugins and tools that can fight with this WordPress Referrer Spam and have the ability to filter all the incoming traffic and block the referrer spam. The way to get rid of this referrer spam is to create filters or block the referrals either by plugins or other tools so that all the traffic will get filter before entering into the website. It is very easy to add the filter to your websites with the help of some WordPress plugins and some tools. Be noted that spammers always come with new effective ways to spam so get the proper guide of installing the particular plugin so that you can effectively remove all kind of coming referral spams. 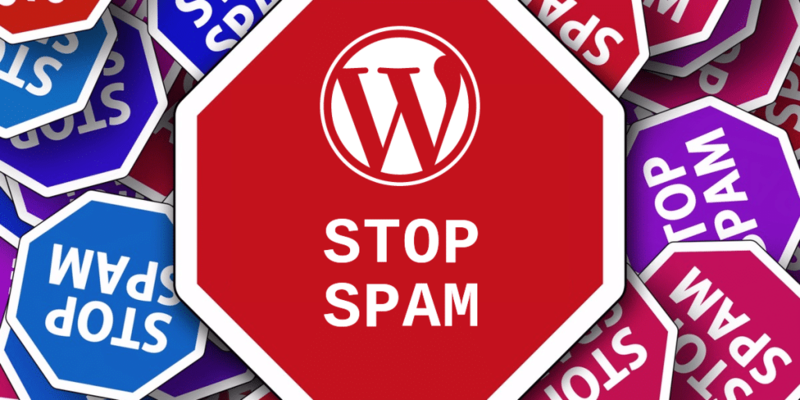 Install a Plugin: Very first, the most common way to remove the referrer spam is through some plugin that has built to block all the WordPress related referrer spams. One can easily download and install this plugin in the WordPress dashboard. After installing it, one can access all the features and settings manually. Configure Settings: After the successful installation, you have to click on the tab named Referrer Spam on the WordPress dashboard that makes sure that all the spam will get blocked on the daily basis and one must also update this sheet regularly. Check Last Updates: Check out all the last updates which you can found on the bottom of the Referrer Spam page. Sometimes, the plugin doesn’t block out all the site links with referral spam. So, for that, you can check the area where the plugin is running and you will get the full report about the blocked websites. View Blocked sites’ list: To view the complete list of blocked sites, one can tab on the Referrer spam and click on blocked site button and then on All Blocked Sites button. By clicking this button, it shows all the list of blocks. You can also open the history of particular blocked site. Clear Out all Ghost Referrer Spam: The goal is to remove all the referral spam so that it can’t enter your Google Analytics reports. To check this, open the Google Analytics Account to check its performance. These types of referrals are also known as Ghost referrals. Some other useful ways to get rid of this referrer spam so that they never get entered into the world Press and Google Analytics. Security: This is one of the best website security solutions that not even remove the referrer spams but also blocks all the viruses and malware existing in the websites. SpamReferrerBlock: It is also one of the best tools to filter all the incoming traffic by providing the blacklist that ensures that the referrals may not come back. WP Block Referrer Spam: This plugin blocks the number of sites that creates referral spam and one of the rigid options that are helpful in getting the website identity more strong than before. These spams are becoming serious issues in Google Analytics. As we can see that even the big sites are also affected by this spam so, one needs a good filter to deal with all kind of fake referrals. Some of the spammers do direct visit with the referrals which affects the website very easily. In order to block all the spammers, once can create a filter to get the report of host names. So, it proves to be beneficial to block referrer spam as by doing this one can maintain the rankings of its website. Removing Referral spam in Google Analytics is essential to get the accurate report of your website performance. However, to send the accurate data, it’s important to filter out all the referrer spam. As we can see that referral spam is becoming more and more problem in present time. So, to have a proper resolution, one can adopt the above steps and provides a good platform to the website to have high-quality results. Kerin is a passionate blogger and an experienced WordPress developer at Stellen Infotech which is a custom WordPress development company. Kerin likes spending her free time by writting and sharing insightful posts, covering WordPress design and development tips for her readers.